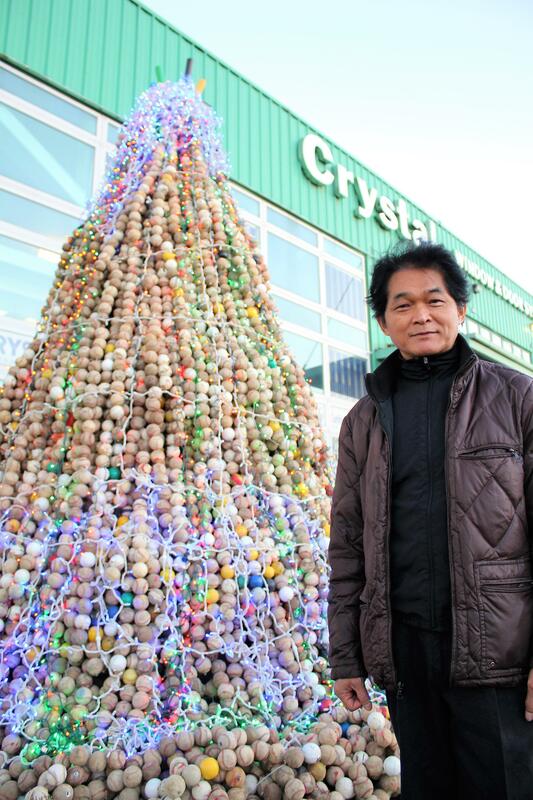 Queens-based national window manufacturer, Crystal Window & Door Systems, celebrated the Lunar New Year by unveiling a unique sculpture made of 25,000 baseballs donated by teams from around the world. The Tree of Hope – which will be exhibited at the 2020 Olympics in Tokyo – stands 25 ft. tall and is illuminated by 10,000 LED lights. Over 30 countries have contributed baseballs, some new but most used in actual games from Little Leagues to the Major Leagues. Professional U.S. teams such as The Mets, Phillies, Orioles, and Yankees donated baseballs for the project, along with teams from Canada, Latin America, Taiwan, Korea, Japan, Europe, and more, with many of the balls signed by baseball legends and entire teams. Crystal Window & Door Systems sponsored the two year effort by artist Lin Shih-Pao (pictured top) to create the structure through its philanthropic Crystal Foundation. Taiwanese artist Lin Shih-Pao is best known for creating thought-provoking works of art from discarded and recycled materials. He is also the artist-in-residence at Crystal Park, a 200-acre art and nature preserve in Dutchess County, created by The Crystal Foundation. The Crystal Foundation was established in 2002 by the Chen Family to support art, culture and educational initiatives.